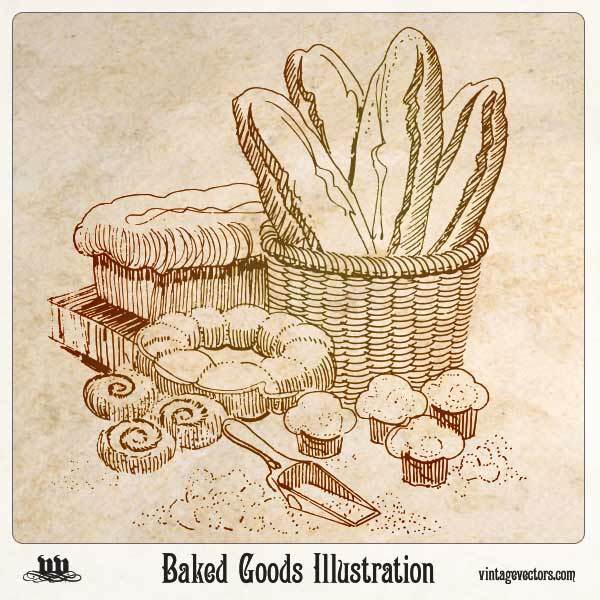 Here’s a nice old folk art illustration of baked goods: bread, rolls and cupcakes. This might be useful for a bakery or a baked goods menu. Mmmmmm… baked goods. It’s free for personal and commercial uses… and it’s the brown button. The download includes both EPS and PDF vector formats. Sweet bakery aromas not included. Howdy! I am really liking this recent series of artsy drawings! Thinking of a way to put them to use! LOL Thanks ever so much!